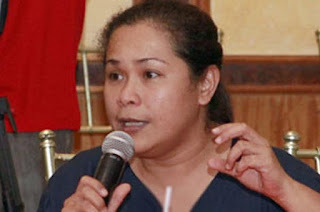 KAPUSO WRITER SUZETTE DOCTOLERO KIDS WITH VERA FILES AND RAPPLER'S RESSA AS USE "TAWAS"
President Duterte known supporters Paula Defensor Knack and Jimmy Bondoc slammed Facebook’s partnership with Rappler and Vera Files as third-party fact-checker in PHL. Another critic took her turns in the controversy of Facebook in PHL, a Kapuso writer Suzette Doctolero also slammed the role of Rappler and Vera Files as police information in the Philippines. In her series of tweets Doctolero showed her disappointed over Ressa and Vera for making journalism a yellow-inspired gathering, calling it a yellow learning organization and "kalokohan" (stupid). She added that the dilaw-worshipping Rappler's Maria Ressa should at least have its "Tawas" alum, for the Karma calling DDS should undergo exorcism.